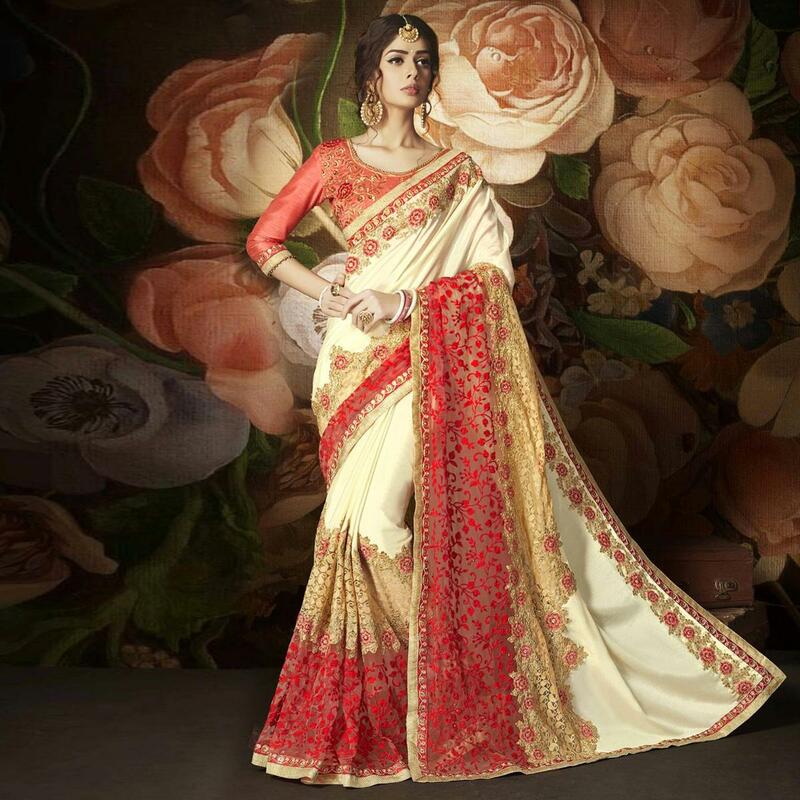 Bring home this immaculately beautiful paper silk & net saree for this festive season.The soothing hue of cream color is a visual treat. Crafted with beautiful floral embroidered work alongwith border shows the excellence of craftsmanship. 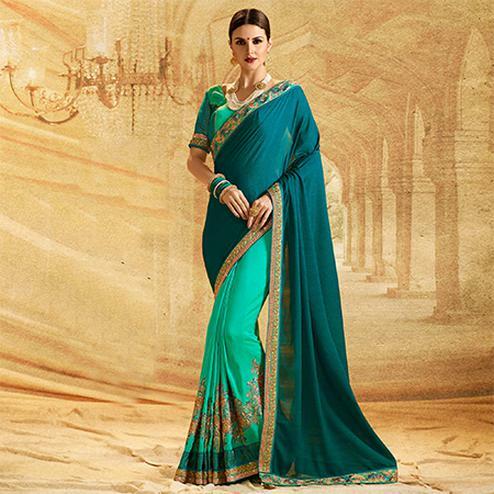 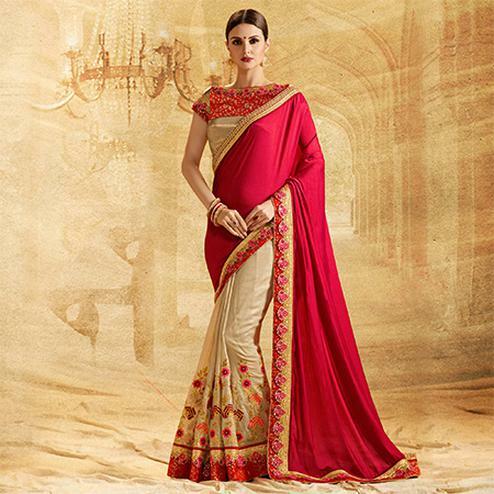 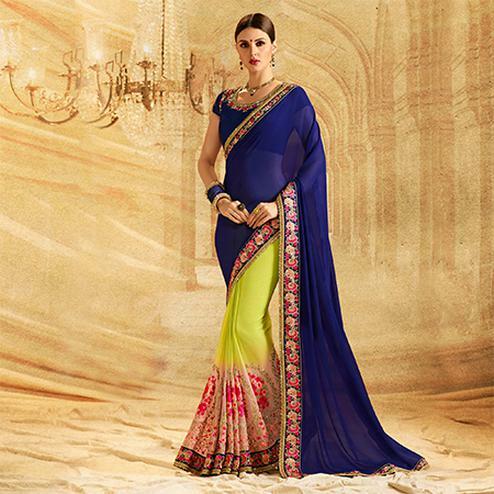 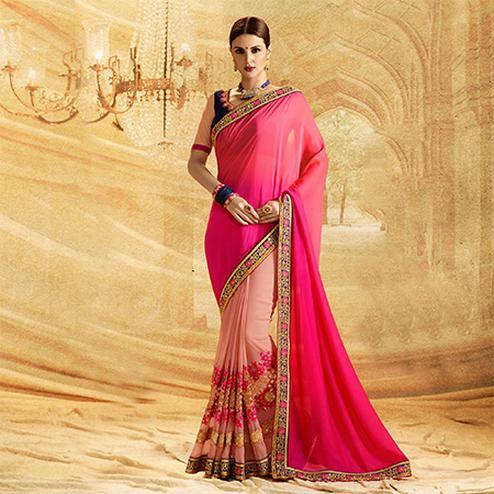 Wear this gorgeous saree for partiesfunctions and events where you will definitely grab a second look. 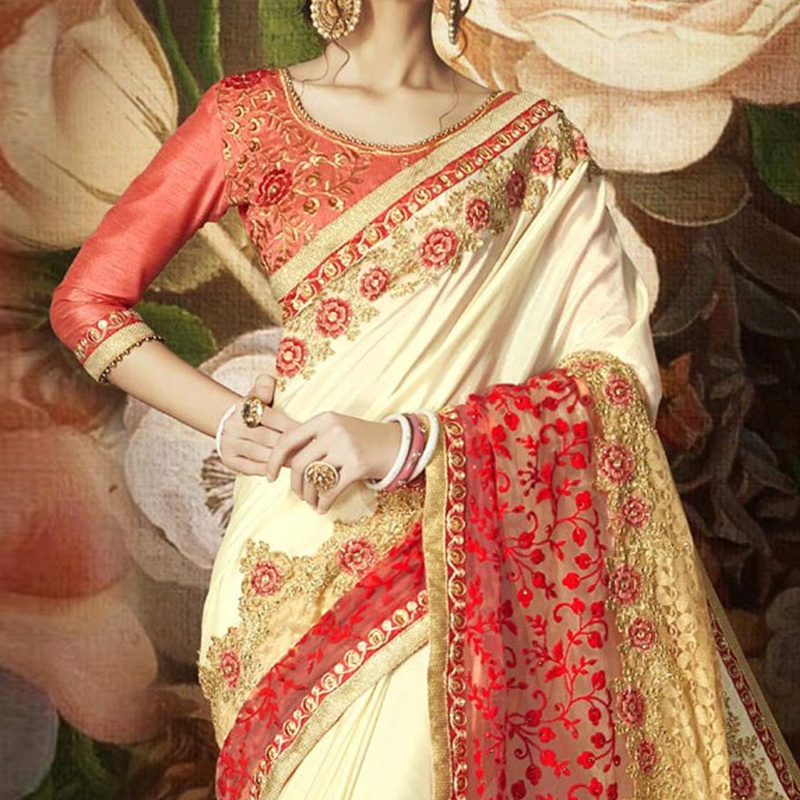 Available with gajri color raw silk embroidered unstitched blouse.